If you have any questions about the LADY ANASTASIA information page below please contact us. 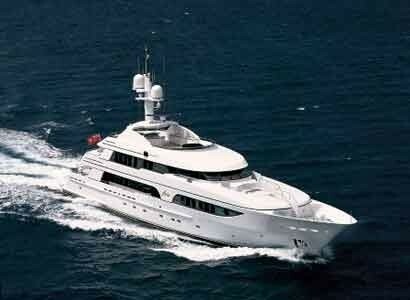 Motor yacht LADY ANASTASIA (previously "Aria") is a 47.55m (156’) motor yacht built by Sensation Yachts in 2001. 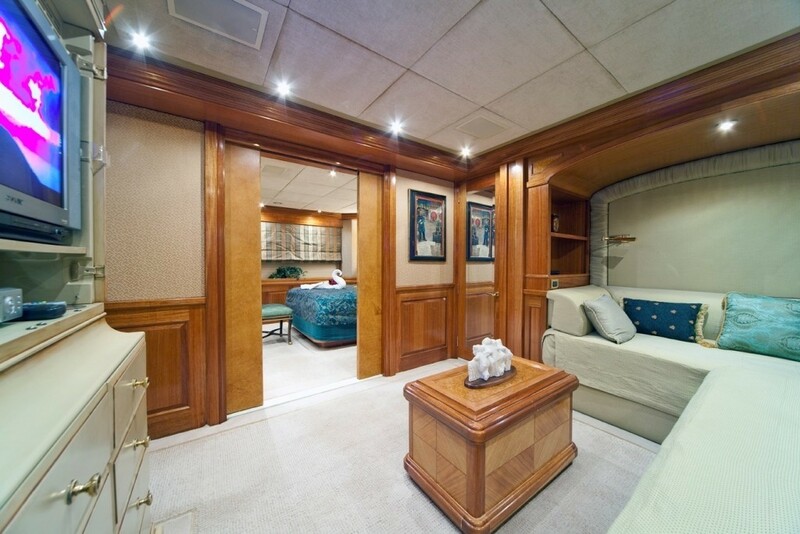 The motor yacht features Naval Architecture by Ray Harvey with interior design by Donald Starkey Designs. 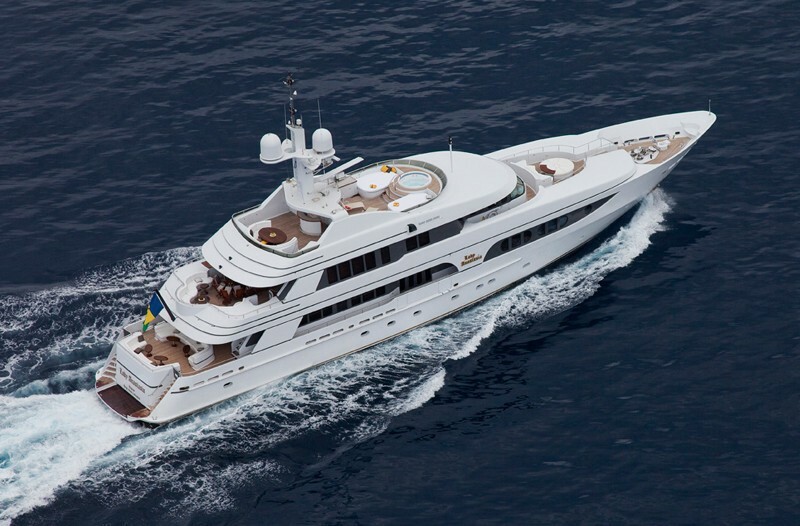 The displacement yacht LADY ANASTASIA is able to accommodate up to 10 guests overnight in 5 luxurious suites. 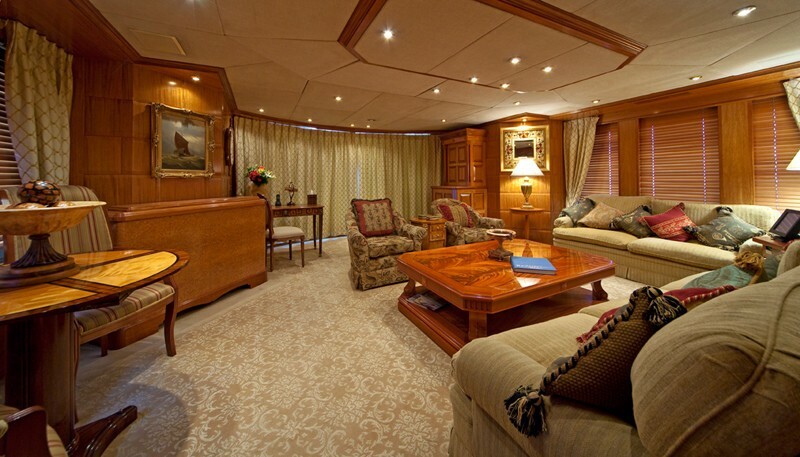 Luxury motor yacht LADY ANASTASIA (ex Aria) has an opulent interior designed by Donald Starkey. The salon features a comfortable conversation area where guests can enjoy the media center followed. 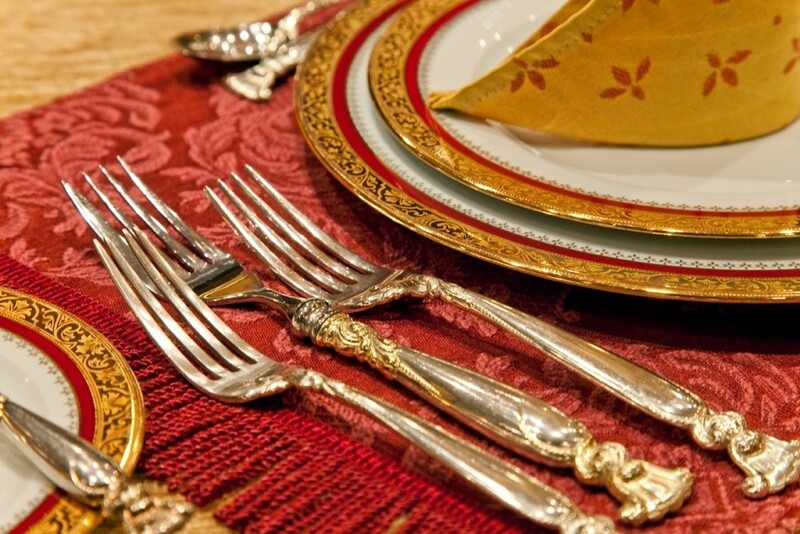 Further forward is a separate formal dining area with a large table able to seat up to 10 guests. 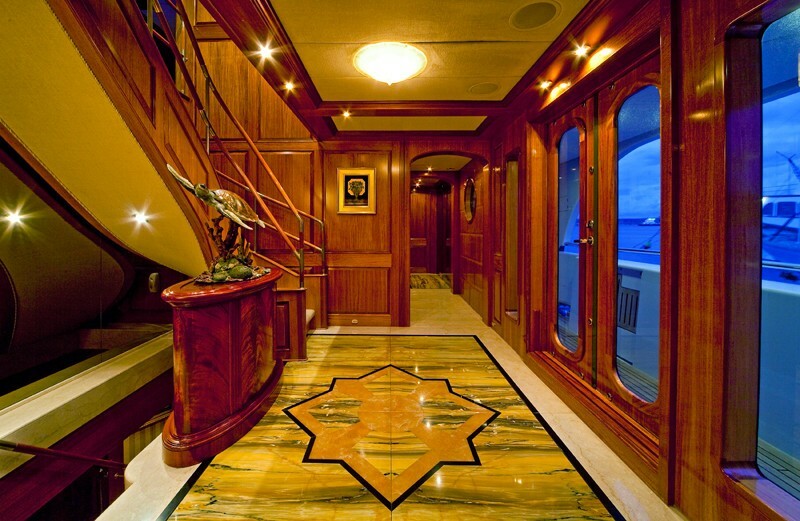 Following through to the Foyer is a stair case leading to the guest’s accommodation on the lower level and to the main entrance of the Master suite that is located on the Main deck forward. 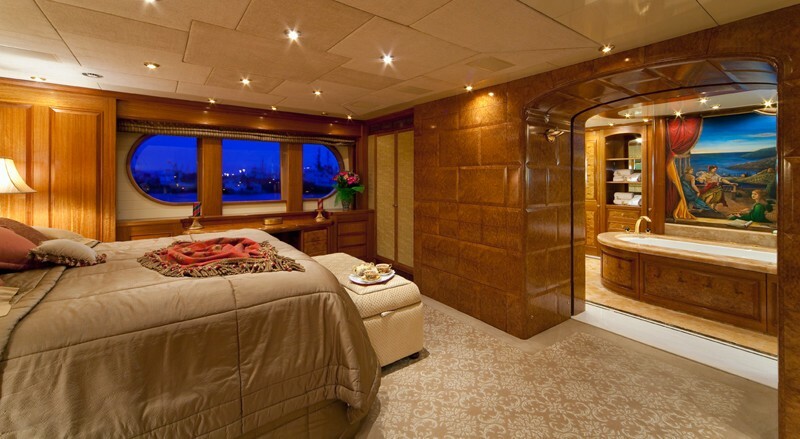 The luxurious Master Suite on the main deck features a private office, and a large cabin with a King sized bed and a sitting area. 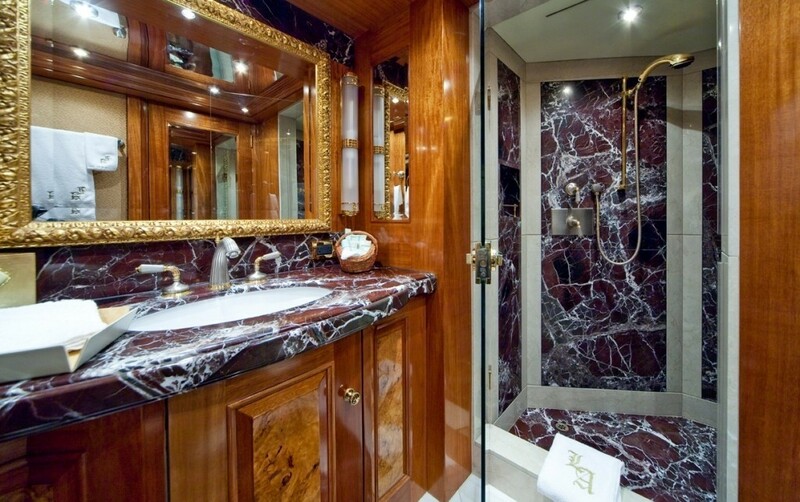 The lavish master bath with honey onyx marble and gold fittings boasts a large free standing Spa Pool tub and shower and two vanities. 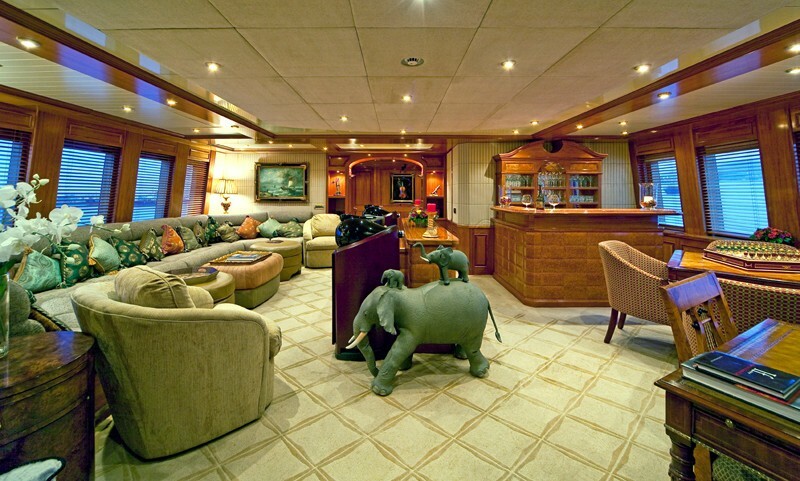 The remaining cabins are located on the lower deck and include 4 double cabins, one of which has a bed that can be converted to a large L Shaped sofa. The cabins each have a KING bed, entertainment system and ensuite bathroom with shower. Two of the cabins also feature a bath. 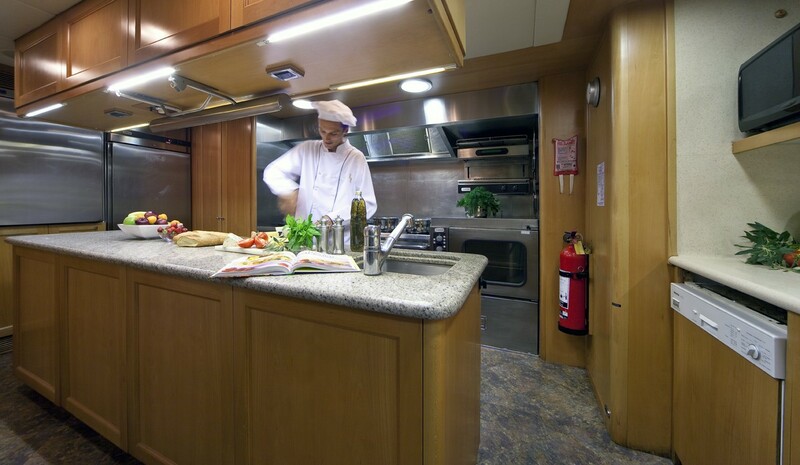 The cabins are individually named, Nessum Dorma, Un bel di, Celeste Aida and OMio Babbino Caro. 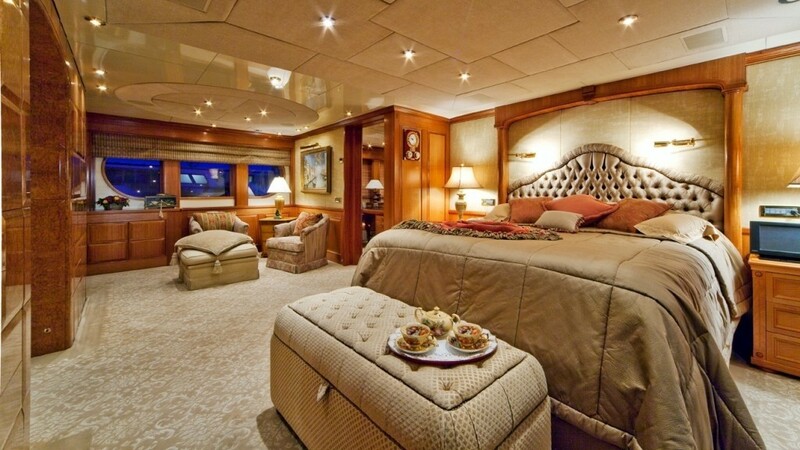 On the upper level the yacht LADY ANASTASIA boasts a finely appointed Sky lounge with a huge sofa and casual chairs, a large screen TV, a games table and media center. The wheelhouse is located forward on this deck. The exterior of superyacht LADY ANASTASIA is well laid out with several social areas to dine, relax and enjoy the sunshine. 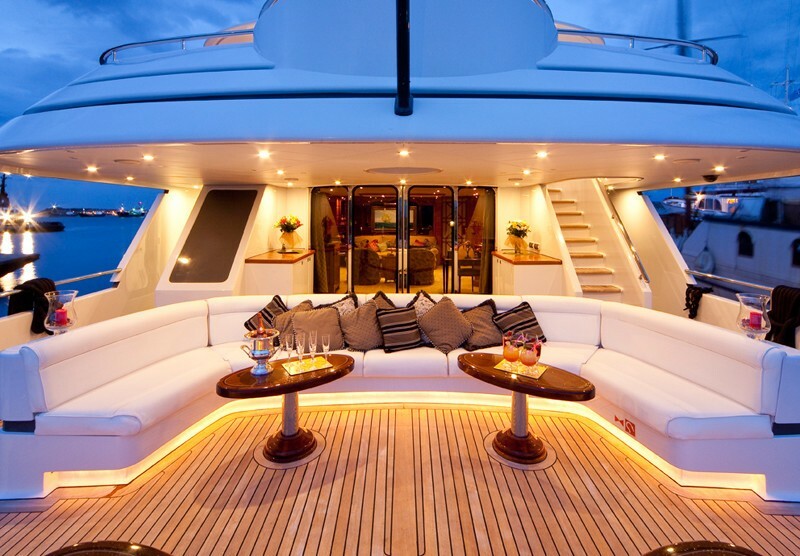 The Spacious aft deck features forward and aft facing seating with cocktail tables which is a great place to gather whether in port or at anchor. There are Stairs leading to the bridge deck and stairs on both sides of the stern that lead to the swim platform and garage where the toys and tenders are housed. On the upper Bridge deck there is a large dining table for al fresco dining able to host 10 guests as well as cushioned seating with cocktail tables. Forward of the wheelhouse there is a casual seating area and round sun bed. 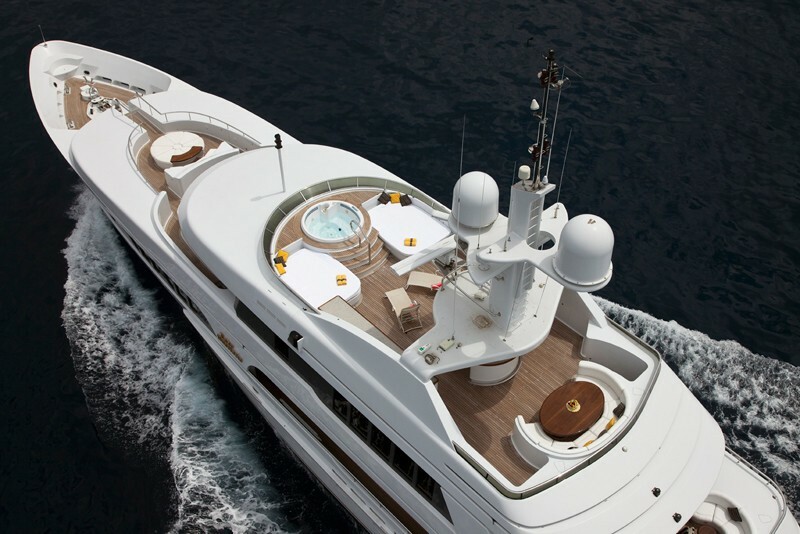 Up on the Sun deck there is further cushioned seating, a table, wet bar, lounge chairs, 2 large sun pads and Spa Pool pool. 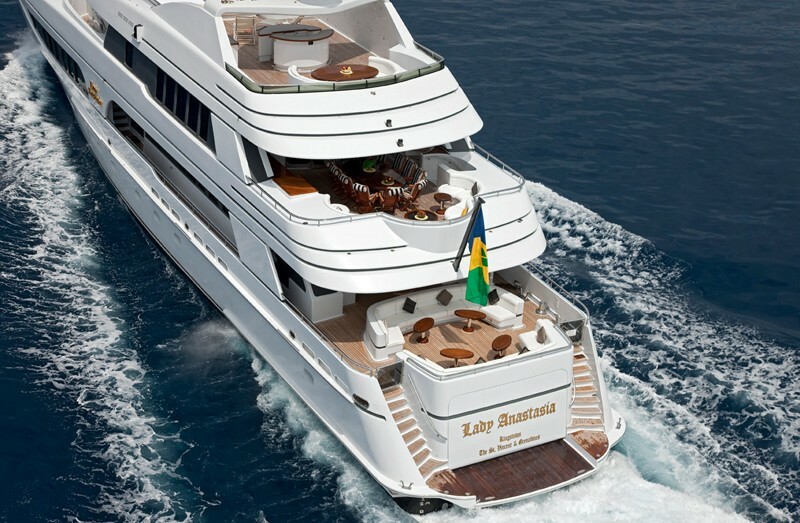 Sensation motor yacht LADY ANASTASIA is able to accommodate up to 10 guests overnight in 5 luxurious suites. 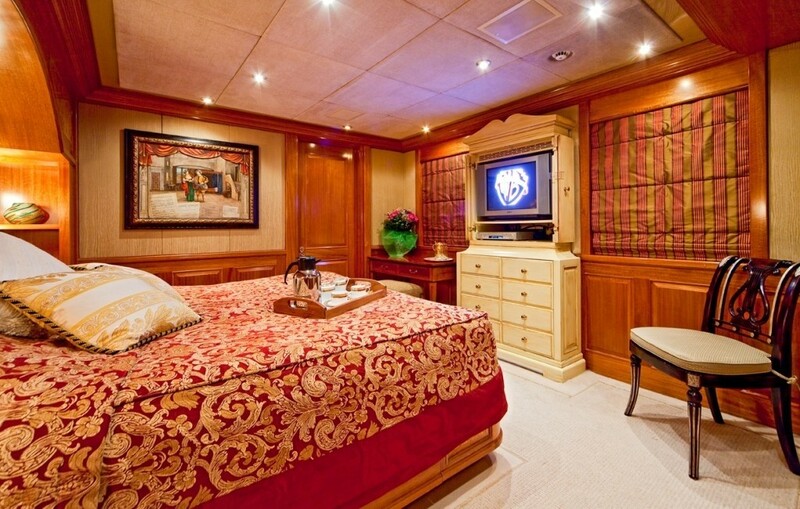 The well-appointed Master Suite on the main deck features a private office, and a large cabin with a King sized bed and a sitting area. 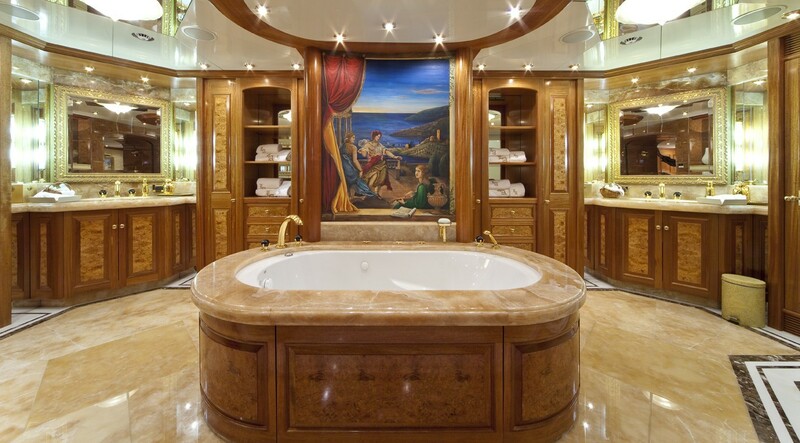 The lavish master bath with honey onyx marble and gold fittings boasts a large free standing Spa Pool tub and shower and two vanities. 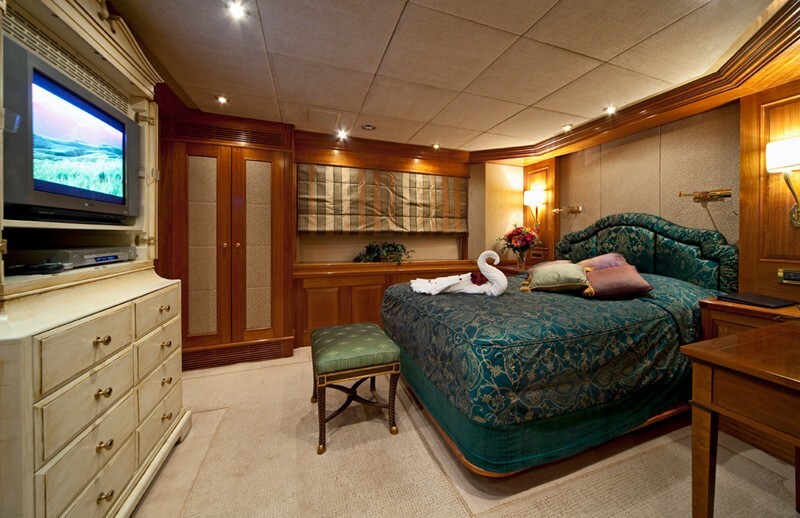 The remaining cabins are located on the lower deck and include 4 double cabins, one of which has a bed that can be converted to a large L Shaped sofa. The cabins each have a KING bed, entertainment system and ensuite bathroom with shower. Two of the cabins also feature a bath. 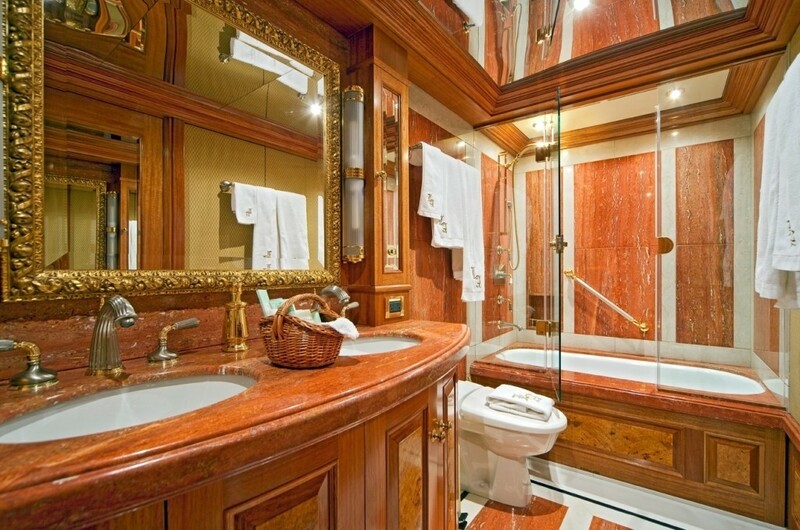 The cabins are individually named, Nessum Dorma, Un bel di, Celeste Aida and OMio Babbino Caro. 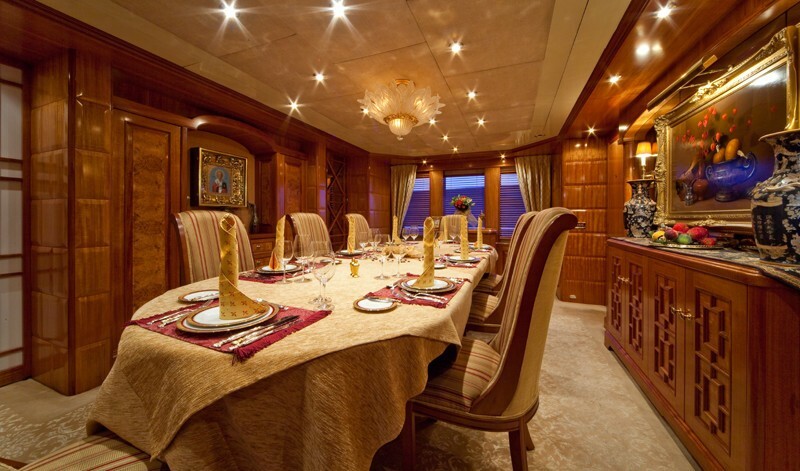 Luxury motor yacht LADY ANASTASIA has plenty of tenders & toys, a full range of entertainment and audio visual facilities and communication facilities. 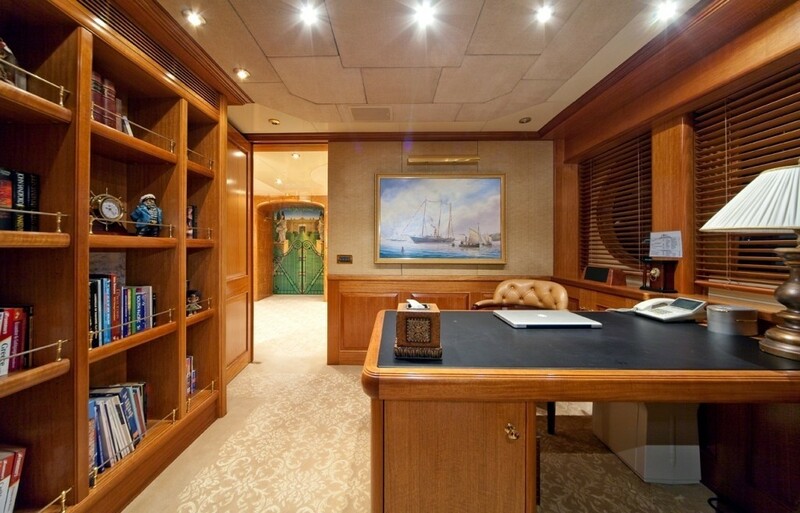 The luxury yacht LADY ANASTASIA displayed on this page is merely informational and she is not necessarily available for yacht charter or for sale, nor is she represented or marketed in anyway by CharterWorld. This web page and the superyacht information contained herein is not contractual. All yacht specifications and informations are displayed in good faith but CharterWorld does not warrant or assume any legal liability or responsibility for the current accuracy, completeness, validity, or usefulness of any superyacht information and/or images displayed. All boat information is subject to change without prior notice and may not be current.